Elgin Terrace is a cosy and comfortable property located in Bhawanipore. Bright and gorgeous rooms with the provision of comfortable wooden furniture make for a relaxing stay. The walls are decorated with colourful textures. Natural light streaming in from the windows add more glow to the overall decor of the room. 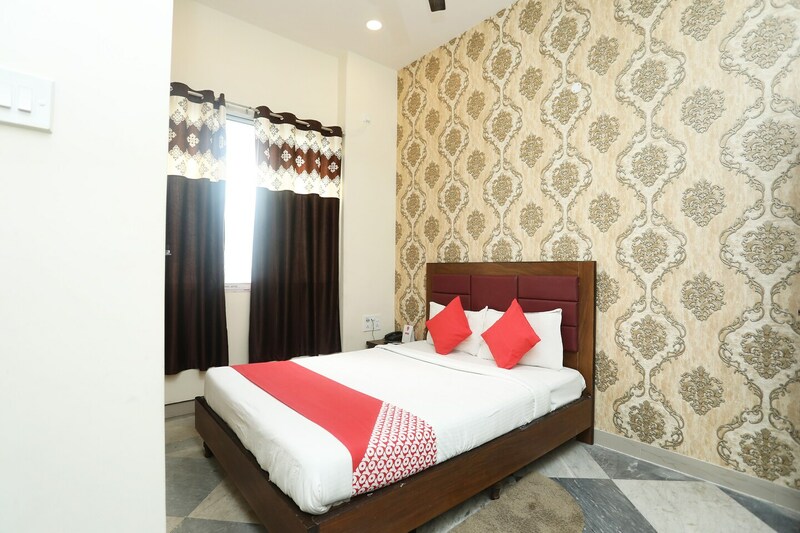 Various basic amenities are offered here for the comfort of the guests. Guests can relax and chat with friends and family at the well-furnished seating area here. CCTV cameras ensure the security of your stay here. Free Wi-Fi, power backup, parking facility, elevator, card payment and laundry service are various other amenities provided here. TGI Fridays, Ar-Han-Thai, The Noodle Story and Privy Ultra Lounge are some of the restaurants located at a short distance from the hotel where guests can enjoy tasty treats. Statue of Mother Teresa, Zoological Garden Alipore and Rabindra Sarobar Lake are some of the attractions located near the hotel for guests to explore.